Soft playability for younger players. 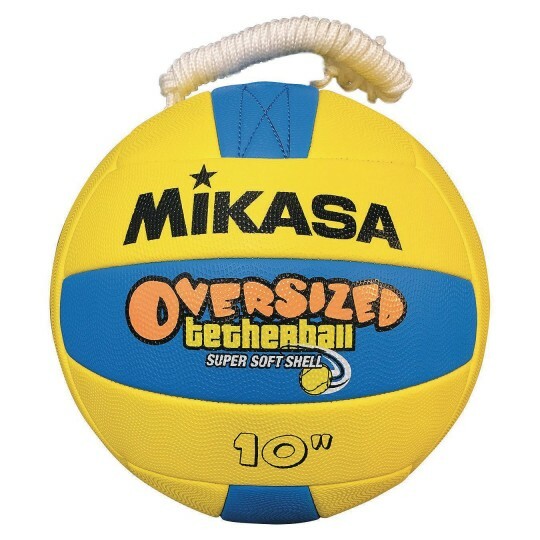 This big and soft tetherball has a textured cushioned super soft composite cover that provides soft playability for younger players. Included butyl bladder provides greater air retention, a soft nylon web carabiner stitched and tucked internally to provide strong & safe attachment, and a braided nylon rope. The 10" diameter ball is about 20% larger than a regular tetherball yet weighs approximately the same.